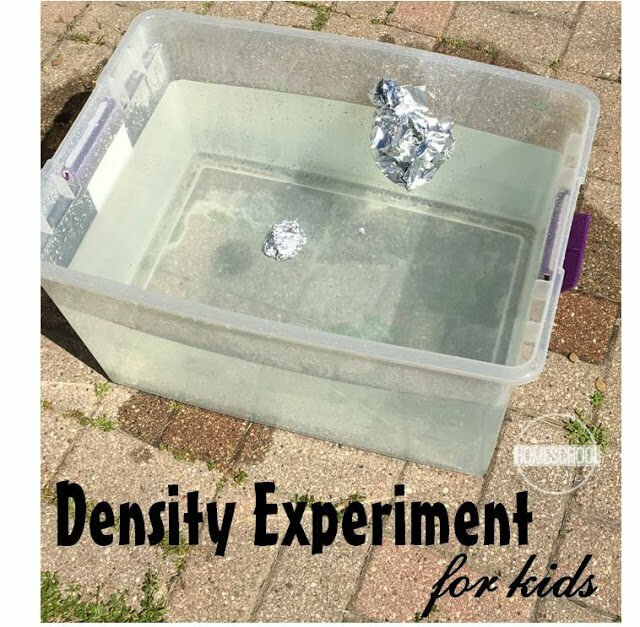 Kids will have fun learning about what floats with this fun unit exploring mass, volume, density, and more with four different fun, science projects for kids. Now let kids try floating different objects in a tub of water. 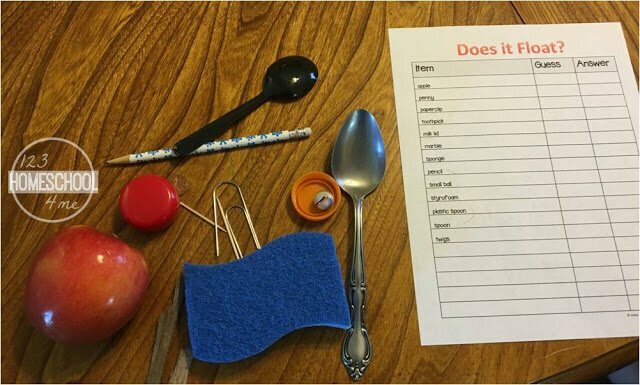 I suggest using this free printable with suggestions as well as space for kids to write their prediction and the answer. Now ask kids, what is heaviest – a pound of feathers or a pound of gold? The answer is they weight the same – they both weight one pound.However, the amount of space the feathers take up would be greater as you’d need more feathers to make a pound. The density of the gold is higher than the feathers. 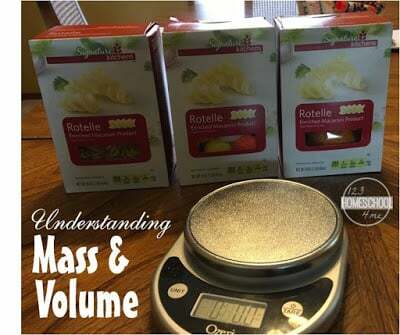 So what is mass and volume? Take 3 identical boxes (could be mac and cheese, jello, corn bread, pasta, etc.) 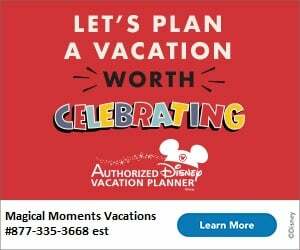 and fill them with different things so that they will have different weights. Aluminum Foil – Start by only slightly wadding a piece of aluminum foil and try to float it on water. Now make a second ball using the same size of aluminum foil but this time make it into a tight ball and see what happens. The density of the second ball is greater so it will sink more than the first one. Ice and Water – Show kids that ice floats. But wait….ice is water? Put water in a paper cup and make a line on the side to show the level of water. Now put the cup in the freezer until freezes. The water expands as it freezes. Now even though the mass (weight) is the same, the volume (space it takes up) is different so the density of the ice is slightly less than the density of water.